Tensile Magura Brake Pad Converters. KMC Z82 8 Speed Narrow Cycle Chain 3/32"
KMC Z99 9 Speed Super Narrow Cycle Chain 3/32"
Onza Smart Guy Trials Fork -All Alloy - 20" or 26"
Onza Lite Guy Trials Fork 20" and 26"
Tensile 6 mm Allen Head Wheel Bolts with Domed Spacers & Washers. NEW Tensile Aerosilk Plus '2' Disc Hubs. NEW Tensile 'RollerCoaster' Freecoaster BMX Hub. FORME ALPORT 300 2016 18"
FORME ALPORT 29.1 2014 17"
FORME STERNDALE 1000 2016 18"
THE BLACK FRIDAY SALE IS NOW LIVE AND OPERATES RIGHT THROUGH TO MONDAY THE 30TH OF NOVEMBER. DON'T HANG ABOUT THOUGH, MANY OF THE ITEMS ON SALE ARE ONE OFF'S AND WHEN GONE, THEY'RE GONE. Offering race performance combined with the basis for a light, fast and durable road bike capable of training, fitness or commuting the Forme Longcliffe 5.0 2013 Road Bike is a highly versatile road bike that should be at the top of anyone's wish list. To offer such high performance the Forme Longcliffe 5.0 2013 Road Bike is crafted with the only the best components and materials. A premium aluminium frame is crafted using AL-7005 tubing handcrafted by Kinesis with Forme's very own custom geometry. The result is a superb frame that offers both comfort and performance. 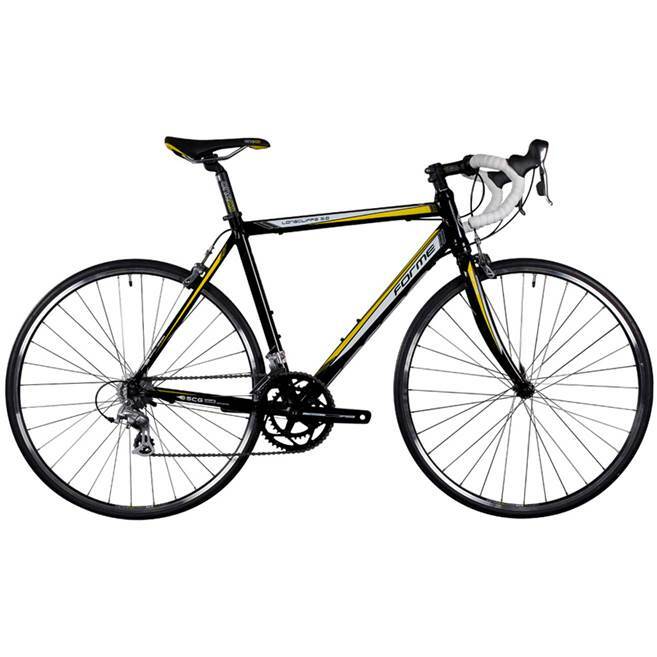 It's not only the frame that gets the premium treatment on the Forme Longcliffe 5.0 2013 Road Bike, every component has been expertly chosen to offer the maximum level of performance without affecting the price. A pair of custom built wheels comprising of Alex Ace 17 double walled rims and smooth Formula hubs offers quick engagement and a minimal rolling weight while a compact chainset and wide ratio gears offers a gear for practically any situation without the need for a 3rd chainring.Thinking of using the Forme Longcliffe 5.0 2013 Road Bike to commute? Good news as the Forme Longcliffe 5.0 2013 Road Bike offers suitable mudguard clearance thanks to its long reach brake callipers.